OMAHA, Neb. and RICHMOND, Calif. — December 7, 2017 — The Federal Highway Administration (FHWA) has awarded HDR/AVS Group, a joint venture of HDR Engineering, Inc. (HDR) and Alta Vista Solutions (Alta Vista), a five-year, $50 million contract to provide technical services and research support for FHWA’s Long Term Bridge Performance Program. In what is anticipated to be a 20-year research program, field data is being collected nationwide to better understand bridge performance and improve deterioration prediction modeling and capital expenditure decision-making. The joint venture team will be responsible for field data collection using a combination of the FHWA Robotics-Assisted Bridge Inspection Tool (RABIT), modern non-destructive evaluation and testing techniques, and traditional bridge inspection. HDR’s Duncan Paterson will serve as project manager, and Alta Vista’s Mazen Wahbeh will serve as principal investigator. The contract builds on both companies’ extensive experience with bridges. In 2017, HDR was ranked No. 1 in Top 25 Bridge Design Firms by Engineering News-Record. HDR’s work on large, complex bridge programs includes general engineering consultant for SR 520, the world’s longest floating bridge and HDR’s third ACEC Grand Conceptor Award winner. HDR is lead designer on the Pennsylvania Rapid Bridge Replacement Program, Bayonne Bridge navigational clearance project and Governor Mario M. Cuomo Bridge replacing the Tappan Zee Bridge. HDR also continues to provide fracture-critical bridge inspection services on difficult-to-access areas of the Golden Gate Bridge using industrial rope access techniques. Alta Vista’s experience with bridge systems inspection and performance analysis includes a 10-year involvement providing engineering and source inspection on the San Francisco-Oakland Bay Bridge. Alta Vista provided oversight of the orthotropic steel deck fabrication on the Verrazano-Narrows Bridge in New York, and is currently assisting with construction oversight on the Governor Mario M. Cuomo Bridge. Alta Vista also holds a critical role in the FASSTBridge program in Europe. 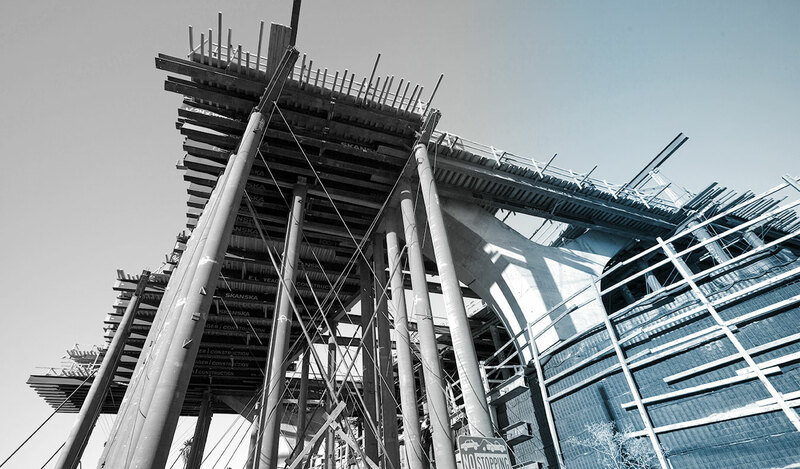 Alta Vista is responsible for developing a preventive and reliable fatigue assessment tool that will be applied to improve lifespan and maintenance in aging steel bridges. Both Paterson and Wahbeh said they are looking forward to working on the project. Alta Vista is a California-based engineering firm that has quickly differentiated itself by providing engineering solutions for some of the most complex infrastructure projects in the world. With services that include engineering, inspection, testing, unmanned aerial systems, quality management, and structural health monitoring, Alta Vista has built a reputation for using innovative solutions and technologies to deliver large-scale infrastructure projects faster, better and more cost effectively. For more information about Alta Vista, visit altavistasolutions.com.